The Holy Land has been an enduring magnet for visitors seeking to retrace the footsteps of biblical prophets, kings and saints and to glimpse the setting of events recorded in the Scriptures. This book offers a selection of over 350 early photographs, paintings, and drawings of the length and breadth of the Holy Land from the rich repository of images in the archives of the Palestine Exploration Fund. As these images were produced before modern development impacted on these landscapes they are an invaluable resource. The pictures are accompanied by 7 maps and plans showing the locations depicted and a commentary describing the biblical context, informed by up-to-date scholarship. The book is divided into five chapters; an introduction which includes a brief account of pilgrimage to the Holy Land through the ages, followed by a series of geographical 'tours' through Galilee, Samaria, and Judea and Philistia, before culminating with a focus on the two main sites of interest for the traveller: Bethlehem and Jerusalem. While often very beautiful in their own right, the pictures also reflect the interest and sensibilities of the photographers and those who collected them, and capture the opposing undercurrents of scientific enquiry and piety characteristic of 19th Century European society. In the case of the photographers engaged by the PEF, a striving for objectivity is strikingly evident in their work. This is a valuable book in which even experts in the field may discover something new. 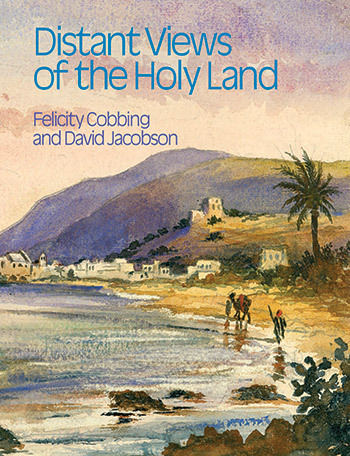 For travellers interested in historical exploration and discoveries of the PEF, Distant Views of the Holy Land would be an indispensable reference in one authoritative yet extremely readable book for planning a visit.